I have to admit, Google Earth Building Maker is an extremely cool project. I call it a project, because clearly Google sees it as a task to be completed. And what task is that? Modeling the entire earth in 3D of course! Before we get to the “How To”, let me give you a little bit of info about Google Earth Building Maker. After you’ve created a 3D image of a particular building, this rendering is then submitted to Google for inclusion in their inventory. And ultimately, at some point in the future (probably sooner rather than later), Google desires to have the entire earth mapped in a 3D model that can be viewed in Google Earth. And taking it one step further, I would guess that ads could be used on Google earth as bubbles, much like that are now on the iPhone map. 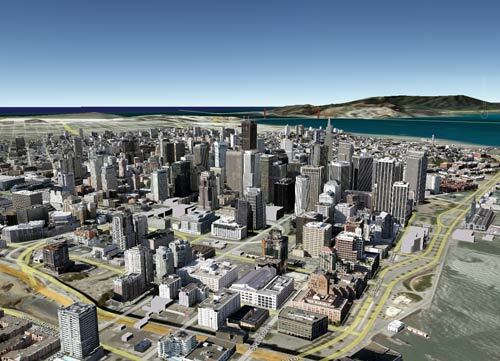 With awesome 3D renderings of buildings, streets, and locations – it only makes sense that Google would then look to monetize Google Earth.